Everything you need to plan your perfect wedding. Welcome to our wedding planner section! Over the following few pages, we’ve pulled together some fabulous ideas for you to plan your big day. And we really do have everything covered, from venues to catering; flowers to hair styling. We’ve even found some unique ideas for your wedding cake! 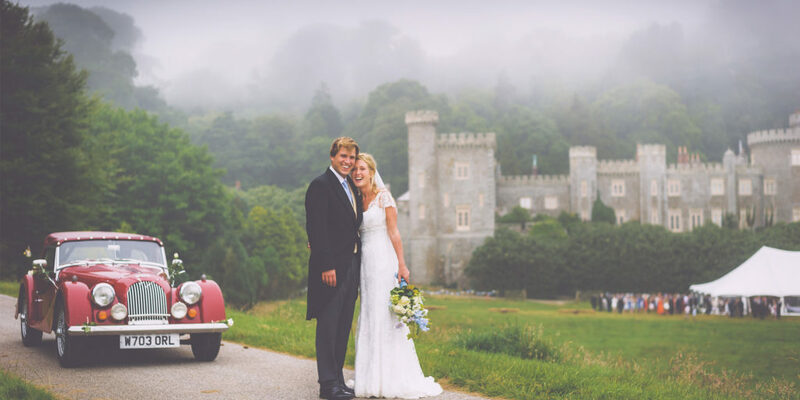 For the venue, how about an enchanting castle, or maybe a cluster of tipis in a wild Cornish location? And how will you ensure those treasured memories are captured? We have ideas for these and so much more to inspire you, so go on – pour yourself a glass of something chilled, put your feet up and start planning your dream Cornish wedding. Acclaimed Naïve artist Judy Joel provides a unique and original way to remember your special day with her paintings, capturing your wedding with her paintbrush and allowing you to remember all the lovely moments in an exclusive depiction that stands out from traditional photography. 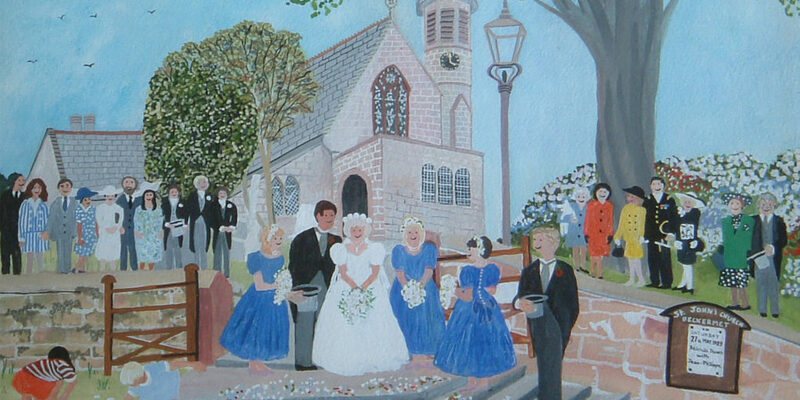 Judy’s artwork is a real flurry of colour and scenes, bringing to attention aspects of your wedding that you may not have initially noticed and transcribing it into a medium you can cherish forever. Capture the most wonderful day of your life with Elizabeth Melvin Photography, ensuring that every moment will be remembered with smiles for years to come. Elizabeth offers the choice of formal or informal, colour or black and white, and is more than happy to organise a pre-wedding meeting and practice shoot to discover how you want your story told and to iron out any photography concerns you may have. We did a little digging and found this review from one happy client who says: “Lizzie is an exceptionally special lady who helped us to realise our vision of a beautiful reportage style for our photographs. 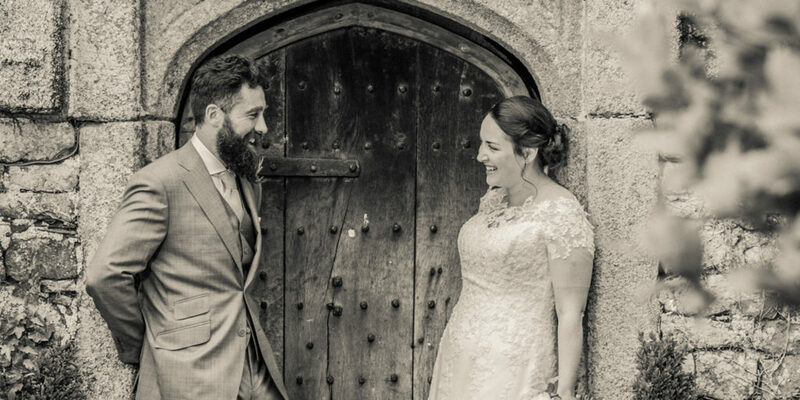 Her photographs are simply outstanding and have forever provided us with the most exceptional keepsake of our wedding day.” Elizabeth works with your interests at heart and the result is stunning photography that you will cherish for years to come, so get in touch today to discover the perfect wedding package for you. Nick brings you into focus by making you feel very special, featuring you at the centre with organic and architectural backdrops at the heart of your individual journey. 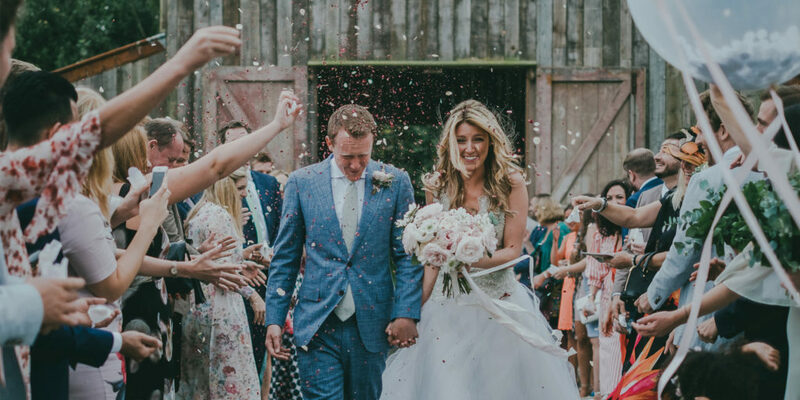 A creative wedding photographer and visually connected to the world’s natural beauty, he will capture your day with his documentary and story-telling method. Alongside this, Nick will also apply his vision to create some truly unique and artistic images that can be transformed into beautiful pieces of wall art, handmade at his Cornish studio. Caerhays is one of the great jewels of Cornwall’s picturesque south coast. 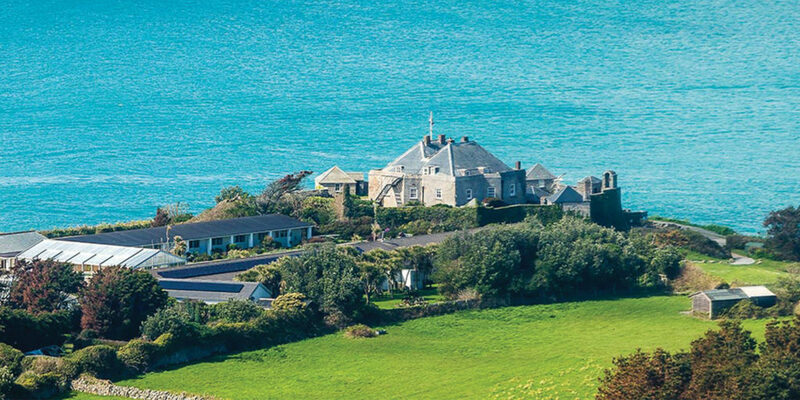 The estate offers two distinct but equally spectacular licensed venues – the intimate clifftop Coastguard’s Lookout or The Vean, a beautiful country house on the estate, as well as the option of a large, sea-view marquee reception in the castle grounds or on the breathtaking Beach Meadow perched above Porthluney Beach. 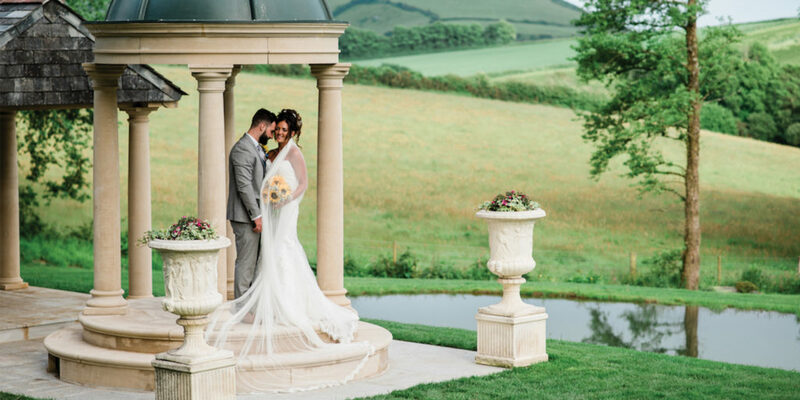 The secluded Caerhays Estate makes for a unique and magical venue for your wedding, providing the perfect backdrop for those all-important photos. When you get married at Tredudwell you have a truly bespoke wedding, in a truly stunning location. The beautiful manor makes a spectacular backdrop and whether you want to be married inside or out, there’s an option to suit everyone with both the barn and a gorgeous outdoor temple available. Flexibility and a down to earth approach is what matters most to owners Justin and Valérie, who simply want to offer you the most relaxed wedding experience. 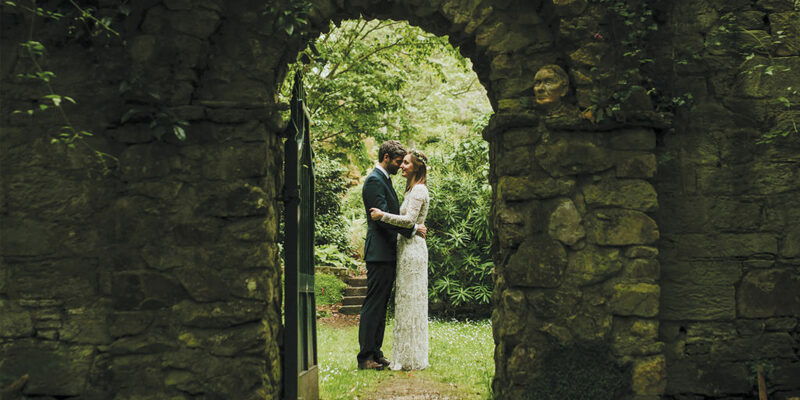 Tucked away in the countryside between Falmouth and Truro, Enys Gardens – considered to be some of the oldest in the Duchy – makes a unique wedding reception venue that’s perfect for a creative couple. The derelict yet enchanting manor house, located within the gardens, has capacity for 200 guests and is available to hire for wedding receptions and blessings throughout the year. Hire of the house includes access to the largely wild and tranquil gardens and there’s even space for a marquee on the old tennis court! 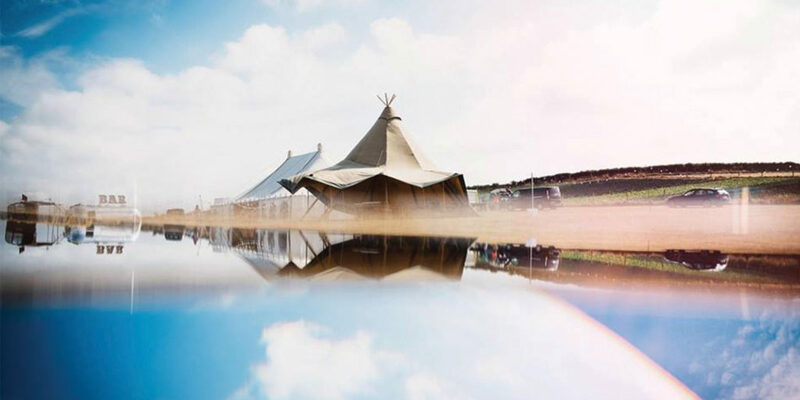 Inspired by nature and community, Wild Tipi will help to create a celebration with spirit. Literally a blank canvas, the team works tirelessly to ensure each wedding is as bespoke and special as you are. Sam and Tim are happy to be involved as much or as little as you wish, offering hands on help or leaving you to run wild. So, whether it’s coastal views or shaded woodland, starry skies or sun-swept beaches, dancing under twinkling lights or telling tales around the fire pit, they will help to create a wedding that is truly magical and impossible to forget. The Star Castle Hotel is a stunning 16th century fortress on St Mary’s in the Isles of Scilly. Situated atop the cliffs overlooking the Atlantic Ocean and neighbouring islands, it’s a truly awe-inspiring venue within which to get married. Offering a bespoke wedding package, the hotel is licensed to hold civil wedding ceremonies in a choice of three beautiful venues and provides canapés and Champagne on the castle ramparts to follow with panoramic sea views, for a truly romantic fairytale wedding. 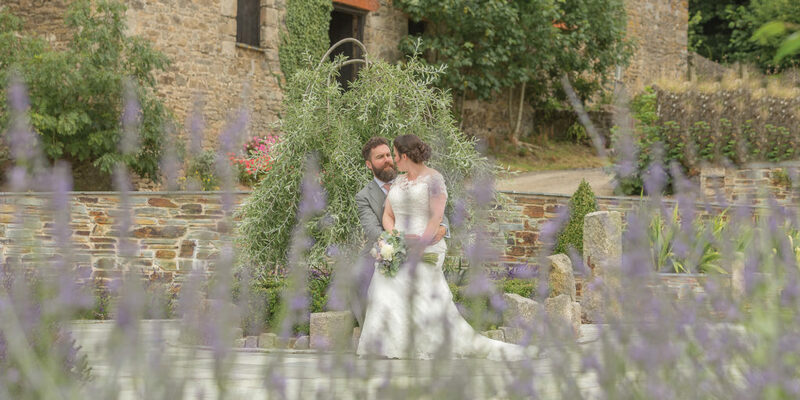 With approval for civil ceremonies and civil partnerships in four separate locations within the complex, Carnglaze Caverns offers a unique alternative to your wedding day. 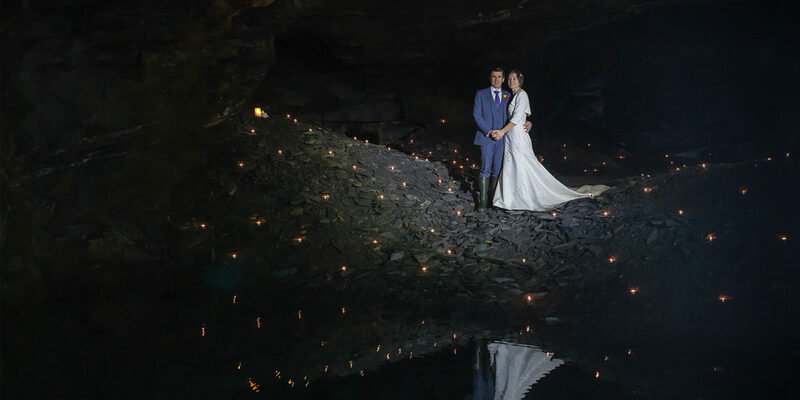 Indeed, why settle for the norm when you and your guests could make lasting memories with a wedding day like no other at this fascinating heritage slate mine? 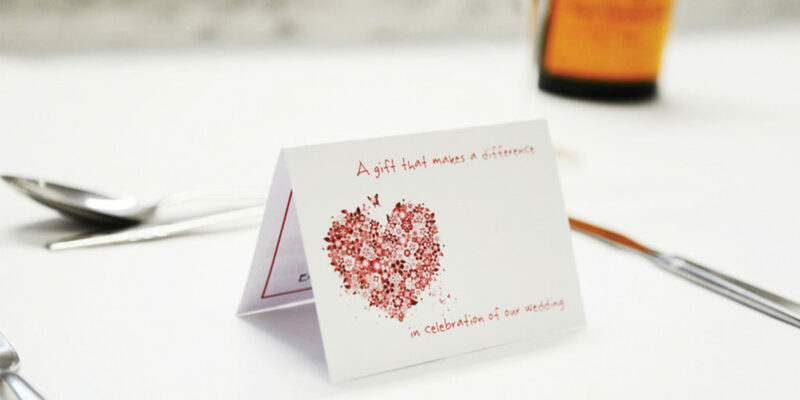 Why not spread the love at your wedding by surprising your guests with a personalised wedding favour? Cornwall Hospice Care can provide you with beautifully designed tent cards at just £1 each. They are personalised with your wedding details and incorporate a unique lottery number for you to distribute to your guests. Each lottery number will be entered into the weekly lottery draw giving your guests the opportunity to win one of 53 cash prizes, worth up to £10,000! Innovative, award-winning floral designer Alice Matthews, of Ruby Alice, marries modern romance with timeless, natural elegance. Alice simply loves the buzz of a wedding, ever passionate about creating the right look and guiding clients from idea to reality. Everything she uses is fresh, grown locally where possible and foraged. Alice offers free, no-obligation consultations to discuss all the design possibilities, as well as venue consultations, advising how to make the biggest impact with your budget. Look out for Alice’s blog or contact her for more details about her Christmas wreath workshops in December in Mousehole, Penzance and Sennen. 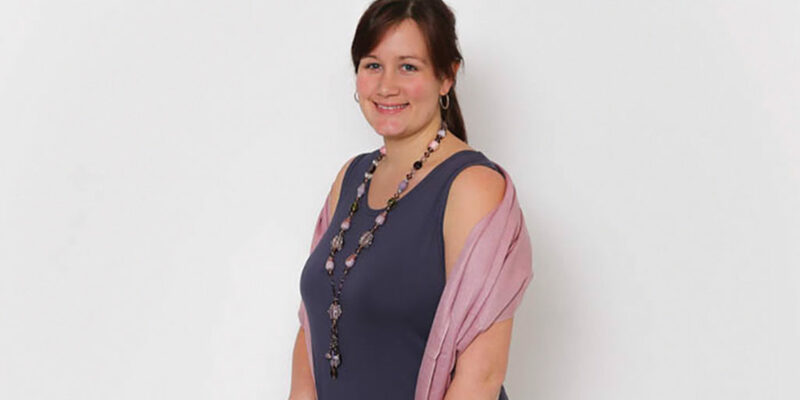 Offering unique clothing with a bohemian chic style, Essa Collection, located on Fore Street in Porthleven has a beautiful selection of dresses, shawls and statement jewellery from around the world providing stunning wedding attire options for a relaxed, flattering look. The collections are full of colour, texture and imagination and are often one-off designs from exotic destinations that you won’t find anywhere else! So, if you’re looking for a unique boho-chic wedding outfit then look no further than Essa Collection. 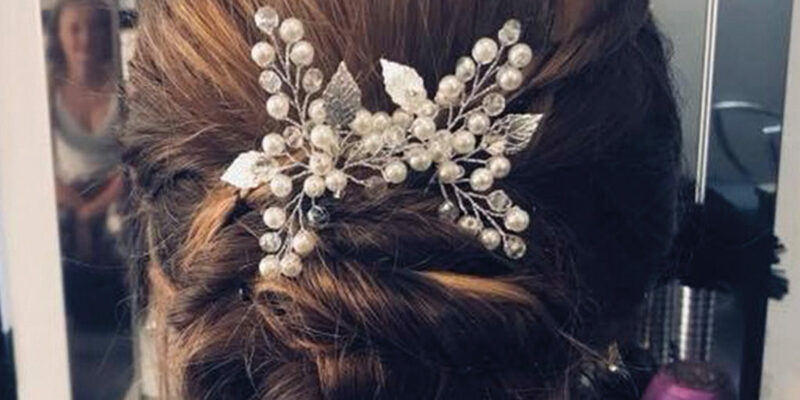 How you wear your hair is one worry that can be taken care of on your wedding day with the help from the Shear Perfection team. 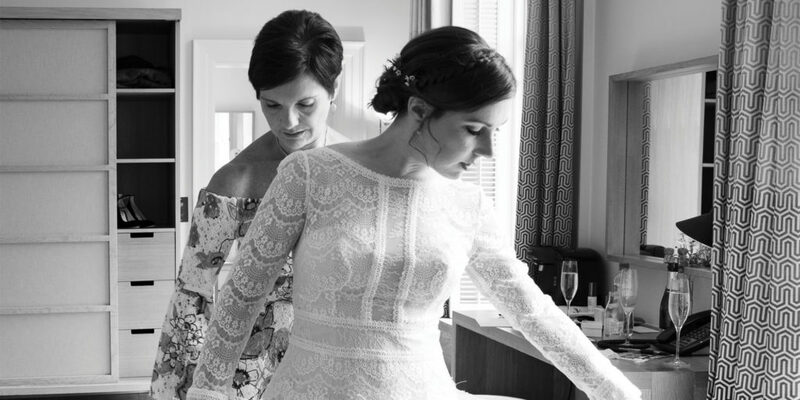 Giving you the chance to relax and feel pampered before walking down the aisle, they even provide a complete bridal package for the bride and the bridal party including hair, nails and makeup! The team are happy to come to you, the venue, or you can indulge in the full salon experience. 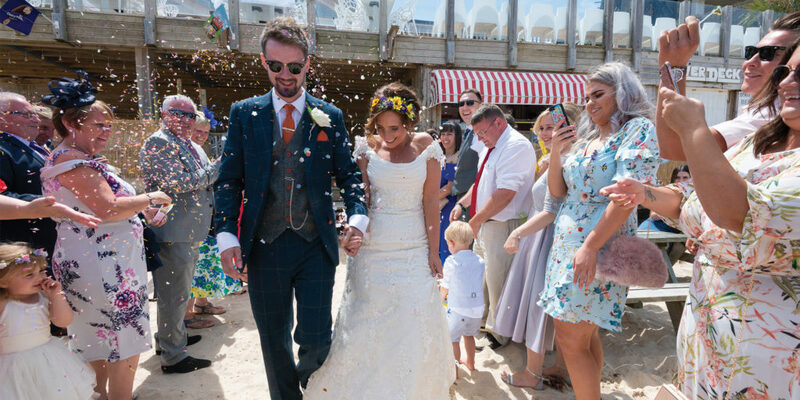 Visit Simpsons of Cornwall to arrange your suit hire, choosing from a fantastic collection of designs. Established in the 1860s, Simpsons is an agent for Peter Posh, which has a huge range of styles, colours and choices of men’s suits for every type of occasion, whether formal or relaxed, traditional or contemporary, and with accessories to match. Simply pop in store to get everyone measured up and select your chosen suits for the big day. With stores in Penzance, Falmouth and Truro, Simpsons is your local solution wherever your Cornish wedding might be. Treasure the memories of your wedding day with Nicola Bottono’s unique ‘Memory Keeper’ vessel pendants, allowing you to keep a piece of the magic of the day with you, whether it’s a poem, song or even a loved one’s speech. Nicola works from her studio in Krowji, a creative hub in the heart of Cornwall where she handcrafts each piece in sterling silver. 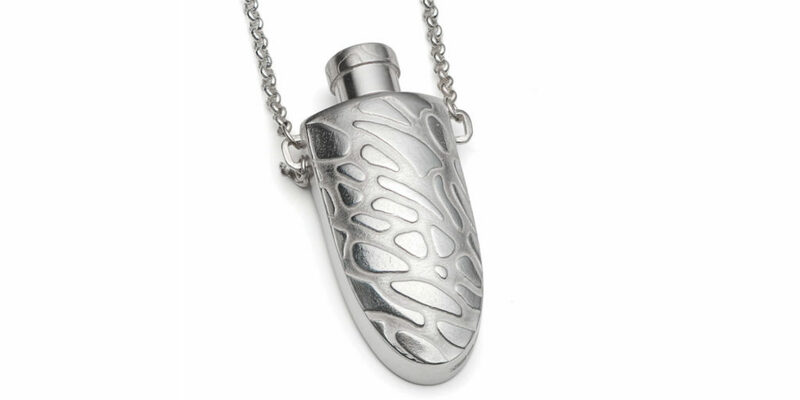 The pendant’s function is integral to its beauty, making it a wonderful and unusual gift.